Calling all Whovians! 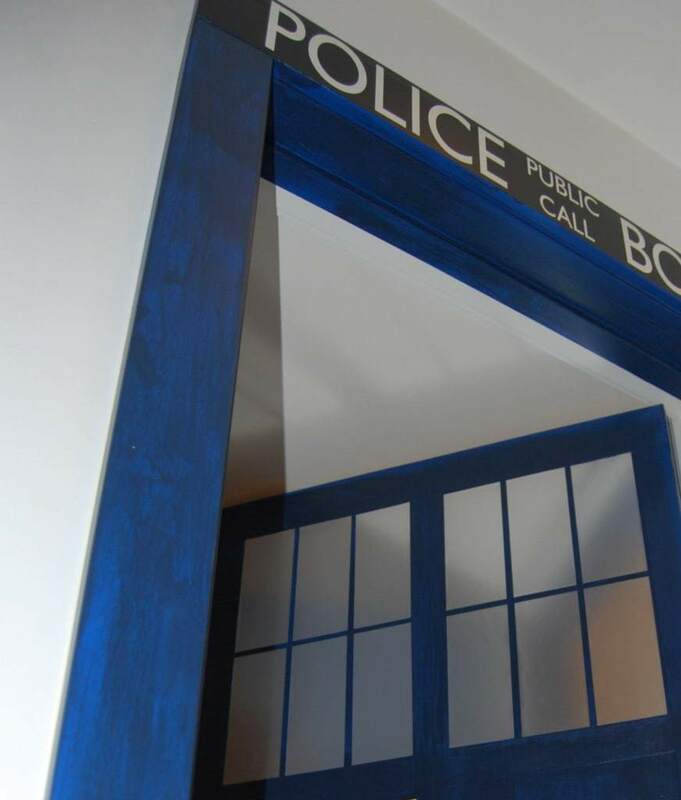 Follow these easy step-by-step instructions to make your very own TARDIS door. Ability to travel through space and time not included. 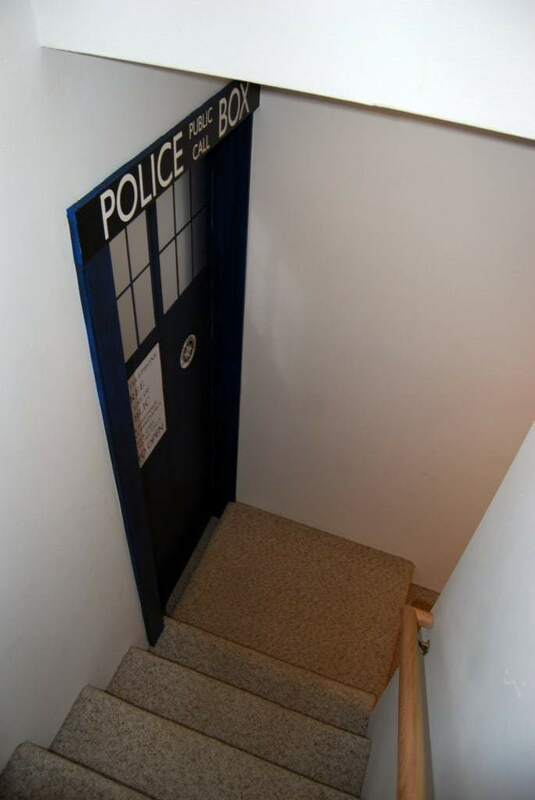 My husband has been a Doctor Who fan for years, and he got me hooked as well. He wanted the basement family room of our new house to have the feeling of Peter Capaldi’s TARDIS meets the Whiskey Library (a fancy bar in Portland). 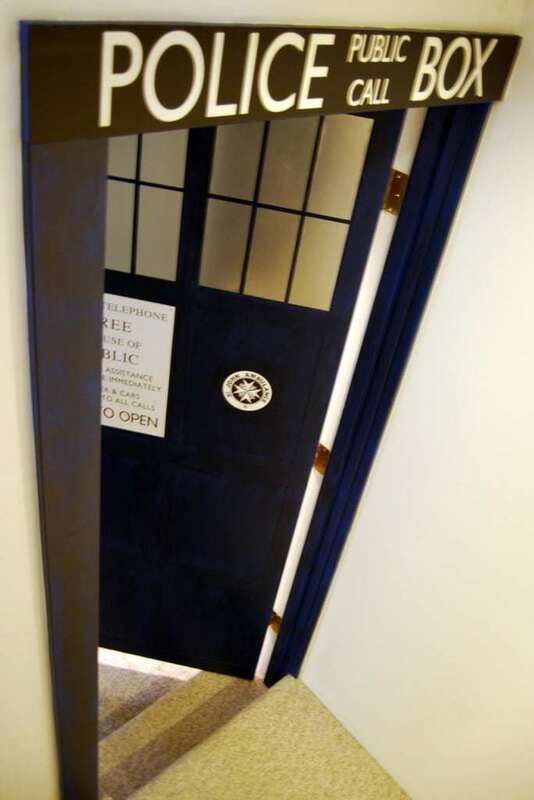 I could think of no other way to enter such a room than through a TARDIS door! Ready to make one of your own? 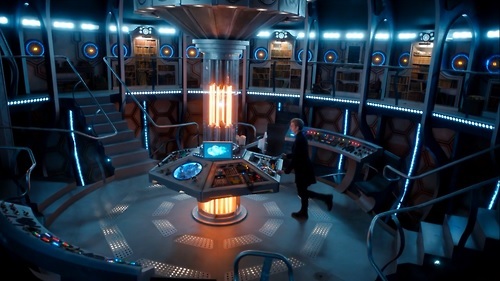 Allons-y! I started with the flat front hollow core door that we already had. I removed it from its hinges, took out the doorknob, then lightly sanded it down and wiped off all the dust and grime. 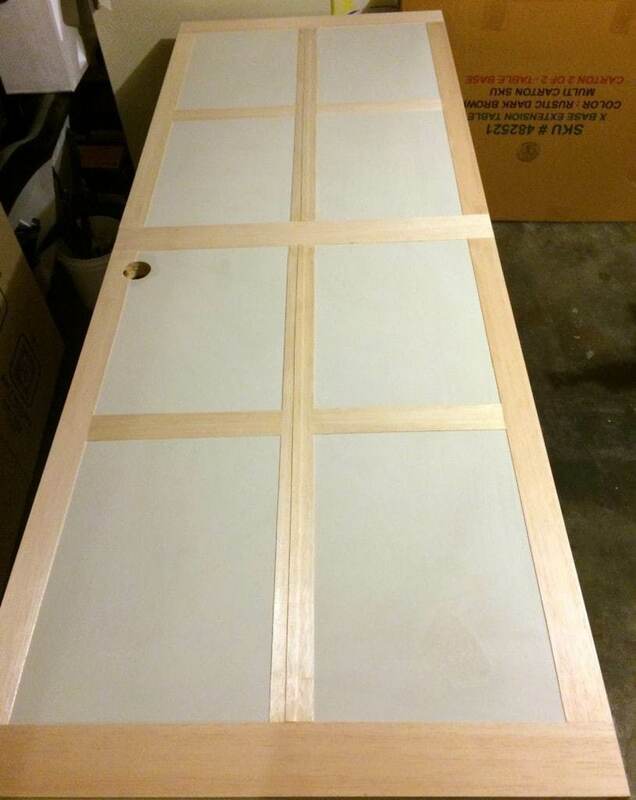 To add dimension to the door and make it look like it has eight raised panels, I used these balsa wood strips. They’re the perfect width and length, thin enough to not interfere with the door closing, and easy to cut to size with a box cutter. I used the full 3″ width for the top, middle and lower horizontal lines and cut 1″ off the width everywhere else so I would have enough room for Police Telephone sign in one panel. Your measurements will vary depending on the size of your door. I applied wood glue to each piece and held them in place with painters tape, then left it to dry overnight. 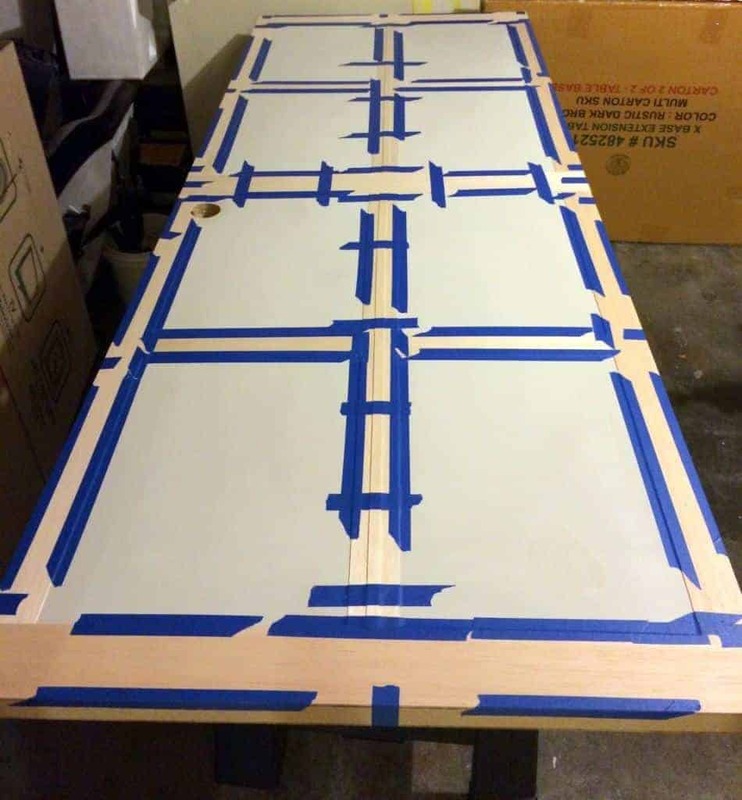 Once the pieces were securely attached to the door, I removed the tape and started preparing for painting. 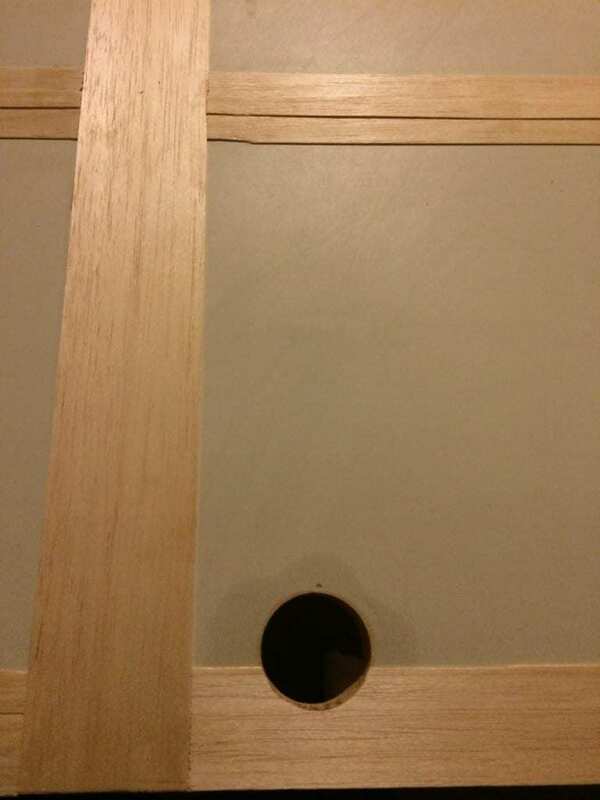 I also removed the section of balsa wood that was covering the doorknob hole by scoring the wood from the opposite side and carefully cutting around the hole. 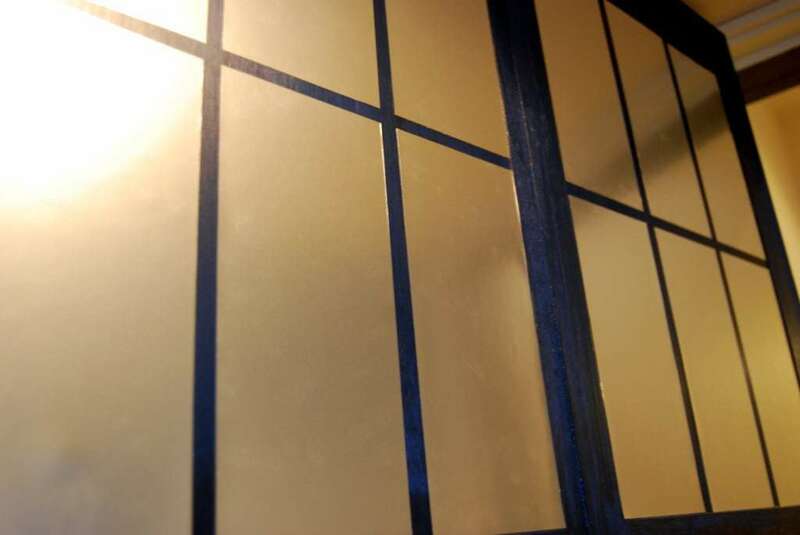 In this picture you can also see the additional 1″ wide strip of balsa wood I glued to the center vertical line, since the actual TARDIS door frame is raised in the center, like this. 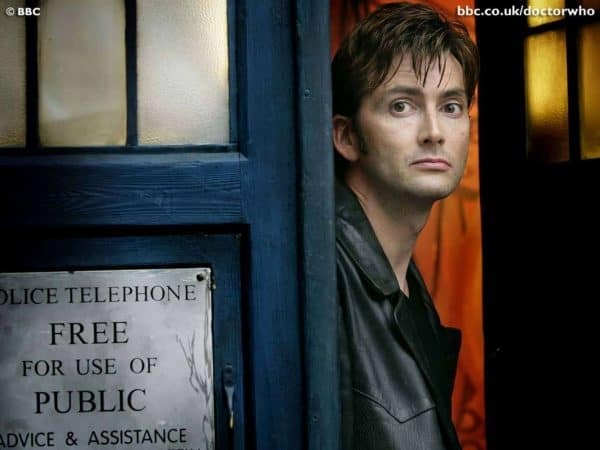 Oh, David Tennant, how I miss you! 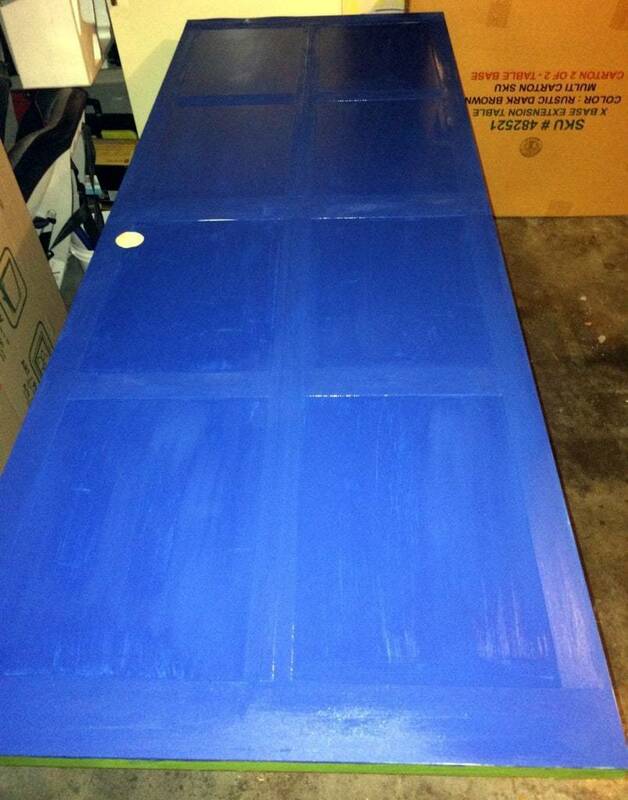 After much research and debate, we settled on Behr’s Royal Breeze as the base color for the TARDIS door. 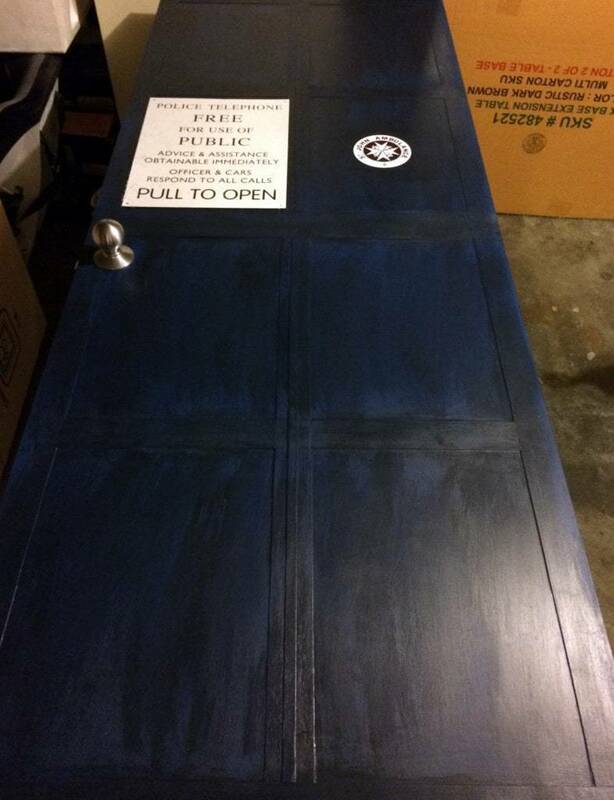 The color was way too bright, and I wanted the TARDIS door to look aged and beat up. I added some black paint to a cup of the Royal Breeze color, and kept mixing in more until I got the color I wanted. Then, I used a dry brush to brush the new color on very lightly, allowing the brighter blue to show through the brush strokes. I forgot to take a photo of the door before the signs went on, but you get the idea here. I did the same treatment to the door frame, which was plain old rectangular trim. This photo is lightened up so you could get a better look at the brush strokes. 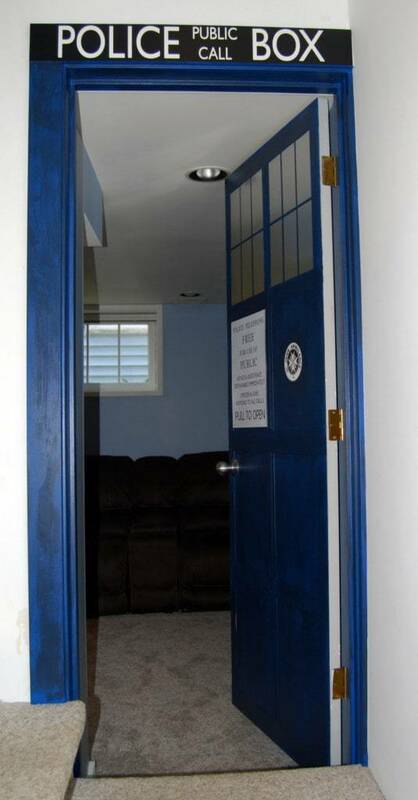 A TARDIS door isn’t complete without the signage! 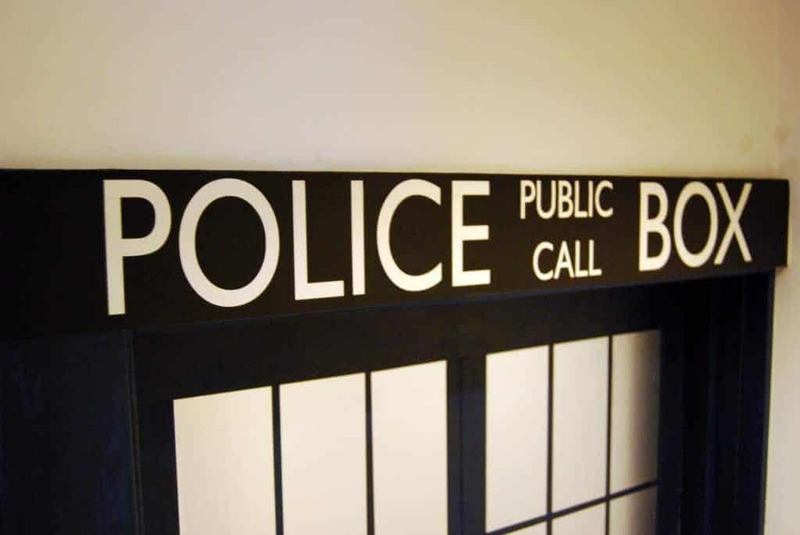 I had given my husband this sign for his birthday, and the St. John Ambulance and Police Box signs are stickers I found on Amazon. 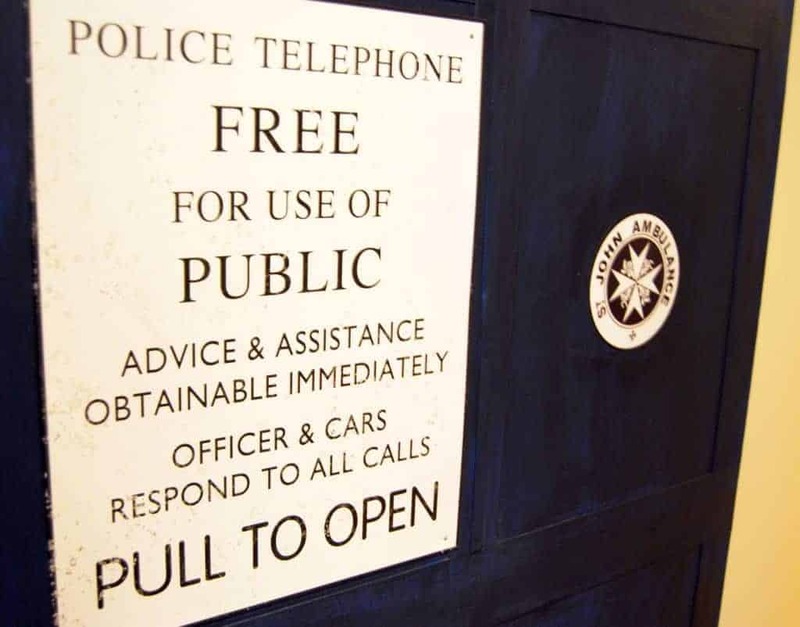 The lettering on the Police Box sticker is cut out rather than printed on, so leave the top of the door trim white! And here’s the view of it coming down the stairs. Never fails to put a smile on my face! 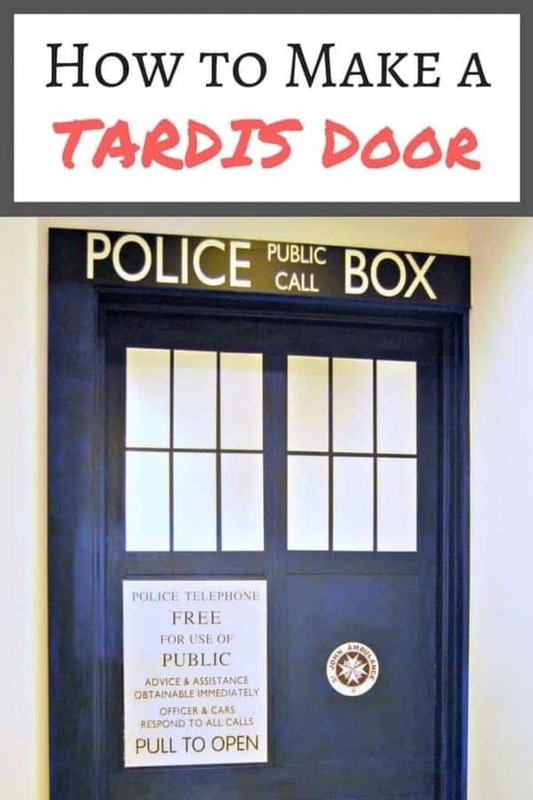 I hope this tutorial will help fellow Whovians create their own timey-wimey TARDIS door! If you would like to keep up to date with my latest posts about home improvement, decor and more, you can follow me on Facebook, Pinterest, or sign up for my weekly newsletter below. Looks lovely! Everyone loves the Doctor! 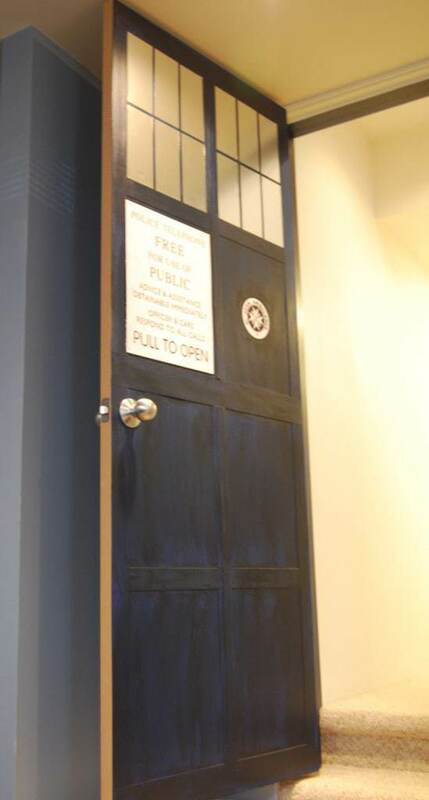 I think this is a wonderful way to update any door! Thanks for sharing this with us! Great instructions and pics! I can’t wait for warmer weather to do this! We so are! Peace! Very creative! You did an absolutely fabulous job! How did u do the faux windows? I’ll take it but I want Matty instead of David! Gr eat job, now I’m going to share it w ithmy son and see if we can get a project going. This is so darned cool! David is my favorite Doctor and I miss him dreadfully! I just now need to talk hubby into letting me copy this for myself…. You should go for it! The door makes me smile every time I see it. That is an inspired entry, and very contagious. My small sewing room is screaming for identity…beyond cluttered-too-many-projects-here. The door is the start. What a great article! It’s clear that you are passionate about this subject, which is a refreshing change from most authors. I see a lot of authors just putting up quick junk, which is unfortunate. I hope you know that people actually appreciate quality writing like this!